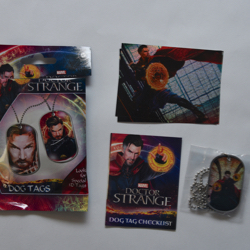 Description: This is a Doctor Strange movie dog tag set. 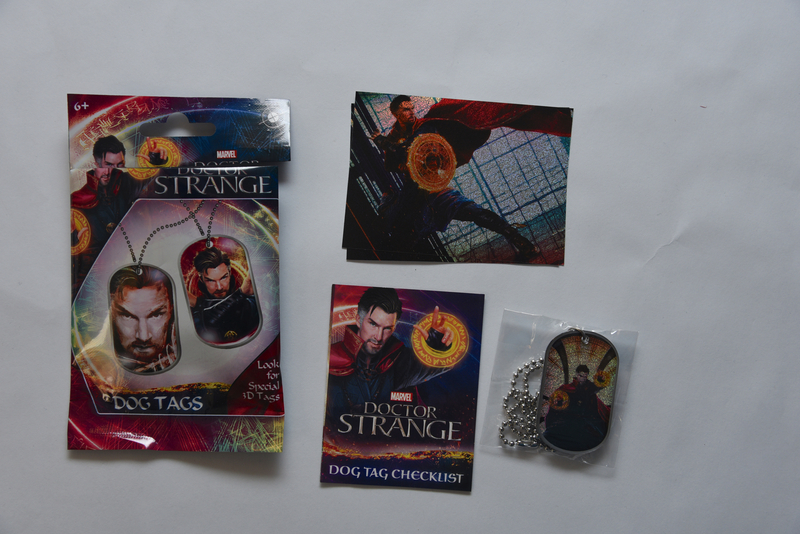 Each package comes with one dog tag and one sticker. The sticker set includes 24 base stickers and 24 foil stickers. The dog tag set includes: 24 base tags, 24 foil tags (1:4), 4 3D takes (1:24). This package included sticker 40 of 48 (its a foil sticker) and tag 26 of 48 (its a foil tag). The package also comes with a visual checklist of all 24 tag pictures.